Part of the city's collection of contemporary art. The nearest work (Winged Figure I) is by Barbara Hepworth. 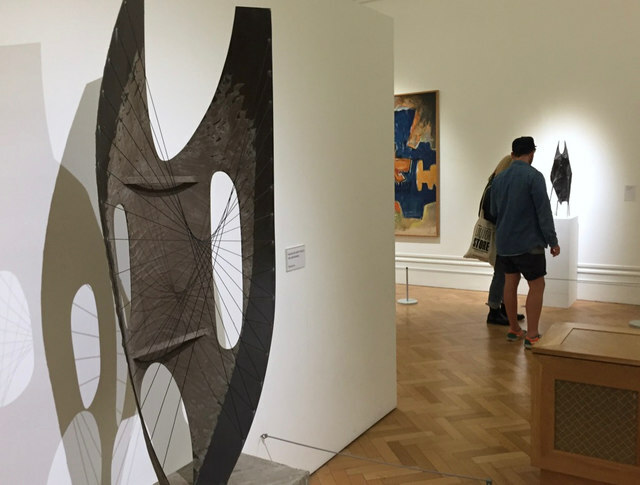 Barbara Hepworth was one of the first British artists to make abstract art. Winged Figure is the model for the iconic aluminium sculpture she designed for John Lewis's store on Oxford Street, London.